Maine Coastal Islands NWR seabird Island contractors start work. After a two day training in Milbridge, Maine, contractors are transported to the island and stay to monitor and protect seabird colonies until early August. 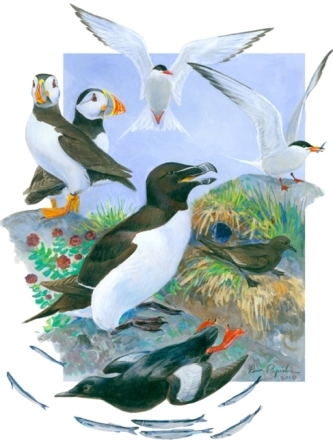 The Gulf of Maine Seabird Working Group (GOMSWG) is a partnership between public and private organizations dedicated to restoring and protecting seabirds in the Gulf of Maine.